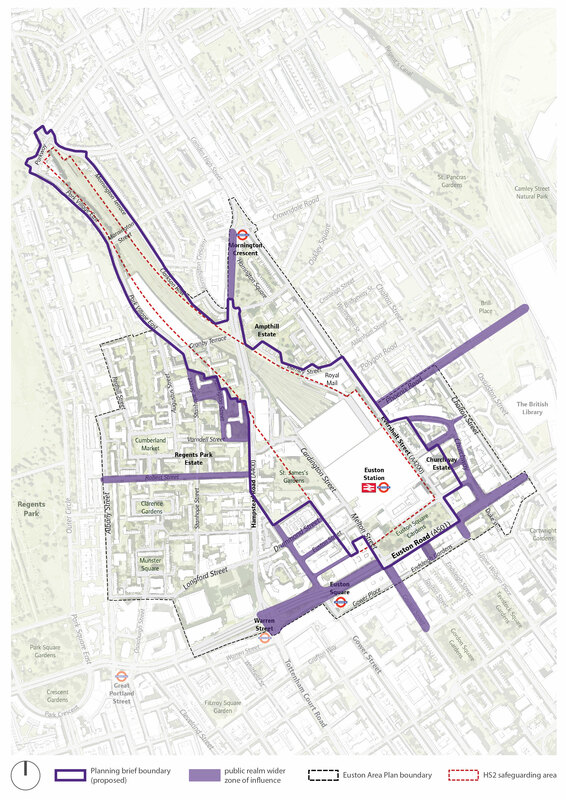 Camden Council adopted the Euston Area Plan at its full Council meeting on 26 January 2015. In addition, the Mayor of London adopted the Plan as supplementary planning guidance to the London Plan on 21 January 2015. The report of the Planning Inspector who was appointed carry out an independent examination of the Euston Area Plan was received on 30 December 2014. On 10 April the Euston Area Plan proposed submission and supporting documents were submitted to the Planning Inspectorate for examination. Inspector Derek Stebbing, BA Hons, Dip EP MRTPI, was appointed to conduct the examination to determine whether the Euston Area Plan is sound in accordance with Section 20 (5) of the Planning & Compulsory Purchase Act 2004. The examination process concluded with the Inspector’s Report (see above), which took into account all the documents submitted for examination, including representations received on the Proposed Submission version of the Euston Area Plan (consulted on between January and March 2014), hearing discussions (July 2014) and comments received on the Euston Area Plan proposed modifications. See sections below for more information on the proposed modifications, examination hearings and submission documents. 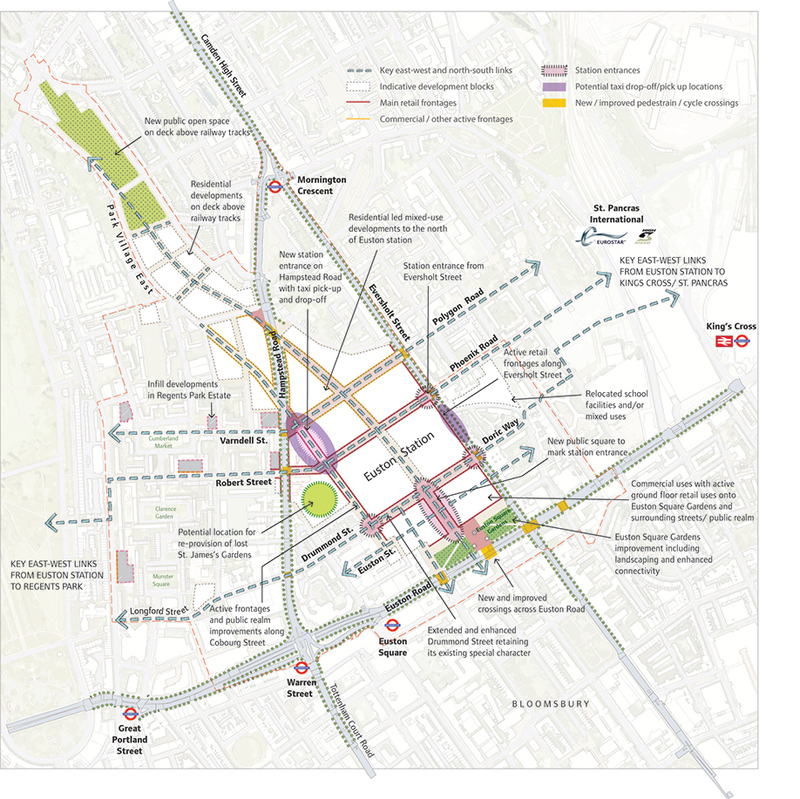 Changes proposed to the Euston Area Plan have been prepared to respond to representations received on the proposed submission version of the Euston Area Plan (January 2014) and the discussions at the examination hearings in July 2014. They are known as proposed modifications and are presented in two schedules the Main Modifications and Minor Modifications. You can view how the Euston Area Plan would read if all the changes are made by looking at the tracked changes version of the Euston Area Plan below. We have also prepared a schedule of changes to the maps, and a sustainability appraisal of the main modifications. If you have commented (made representations) on the proposed submission version of the Euston Area Plan you will be contacted directly by the Programme Officer with any further relevant information. Links to all the documents submitted for examination are below along with copies of Examination Documents issued to date. *The suggested changes contained in the schedule of representations are not necessarily the final changes, and the Euston Area Plan team will liaise with those who have submitted representations to discuss the issues raised where appropriate.